Asheville Eye Associates has an ongoing clinical research program for both the front of the eye (anterior segment) and the back of the eye (posterior segment). The posterior segment research program has been active since 2002. We are dedicated to providing our patients with the opportunity to participate in clinical trials of new medicines, devices and state-of-the-art preventative treatments prior to their medical release. All of our patients benefit from past research in our field, and Asheville Eye Associates is committed to being the premier center for ophthalmic research in the region. We are expanding the number of patients that we serve and also helping future generations by our integration of clinical research at Asheville Eye. Clinical trials can provide immense opportunities for physicians and patients to evaluate and assess what therapy will work best for each patient. Our highly trained staff are educated and experienced in clinical trial management and strive to maintain excellent quality standards. 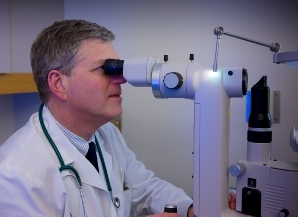 Our Retinal division is located at 21 Medical Park Drive, Asheville, NC 28803. 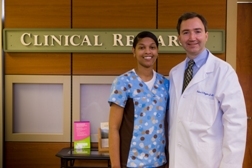 Our Anterior Segment Clinical Research Division was launched in 2008. To date, (31) clinical trials for anterior segment have been initiated which have covered a wide range of diseases from cataract to glaucoma to infectious and allergic disease. 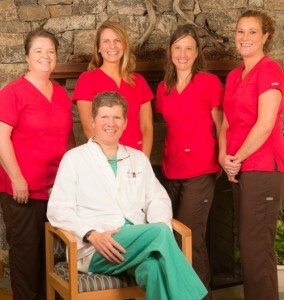 Asheville Eye Associates’ mission is to be the premier provider of eye care to the people of Western North Carolina. The expansion of our clinical research programs is one more step in our dedication to excellence in patient care. Anterior Segment research is located at 8 Medical Park Drive, Asheville, NC 28803. If you would like more information about posterior or anterior segment trials, or if you think you may be a candidate for one of these trials, please contact Lea Raymer, Posterior Segment Research Director at (828)255-8008 or email her at ldoll@aea1961.com. For more information regarding clinical trials in the US, you may click on the following link to the US National Institutes of Health website www.clinicaltrials.gov . The drugs and protocols offered in clinical trials are often provided at no cost to participants. Patients who have trouble affording the drugs or treatment they need may consider enrolling in a clinical trial in order to access the protocols that may help them. Clinical trials are conducted in phases. The trials at each phase have a different purpose to help answer different questions. Phase I Trial: An experimental drug or treatment is tested for the first time in people to evaluate its safety, dosage range and side effects. Phase II Trial: The study drug or treatment is given to a larger group of people to see if its effective and to evaluate its safety. Phase III Trial: The study drug or treatment is given to large groups of people to evaluate its effectiveness, monitor its side effects, compare it to commonly used treatments, and collect information that will allow the study drug or treatment to be used safely. Phase IV Trial: Post marketing studies delineate information including the drugs risks, benefits and optimal use.